Brussels nightlife: small but cosmopolitan, the capital of Belgium offers a good variety of options for nightlife. Here are the best places to go dancing in Brussels and drinking the great Belgian beers! Brussels is definitely not comparable to major European capitals like London and Paris, but it is capable of collecting itself kinda all the spirit of a cosmopolitan city. The Belgian capital is a large university town and home to the most important European institutions: a real pole of attraction for many visitors and tourists who come here to work, study or even just have fun. Even the nightlife in Brussels is quite lively and vibrant, and boasts many bars and nightclubs dotted around its old town. Although you can find all kinds of fun night, the nightlife of this city never chaotic, but rather eccentric and fashionable. In Brussels there are discos with music of all kinds, from House music to jazz, until the Latin American music and live concerts, or the inevitable pub where you can enjoy the excellent Belgian beers. The two highlights of Brussels are definitely the famous Belgian beer, one of the world's most popular and renowned beers, and jazz, spread here since ' 20 and for which Brussels is nowadays one of the most progressive city. Don't miss the Bulex night, an event that takes place in Brussels once a month with evening activities at places always, with lots of music and people of all ages dancing all night. To stay up to date on the latest events in the city, Browse the magazine online “Brussel Deze Week”, where do you find the updated programme of events and evenings. Brussels offers a wide choice of venues for the evening leisure. These are most commonly found in the historic centre, for example in the streets around the Royal Monnaie Theatre, as Rue Ecuyère and Rue Fossé aux Loups, or near the Grand-Place. Saint-Gery and Dansaert are the most popular neighborhoods for the city's nightlife, with a trendy setting. Here there are numerous bars with terraces and nice restaurants with good prices. In the district of Saint-Géry You can find clubs of all kinds and offering the most diverse genres, ranging from electronic music to that House and commercial, But even hip-hop, drum 'n' bass and Latin music. Another landmark for Brussels nightlife is the District ofIlot Sacré, surrounded by great restaurants, pubs with live music focused on notes drum n bass, Reggae and House. 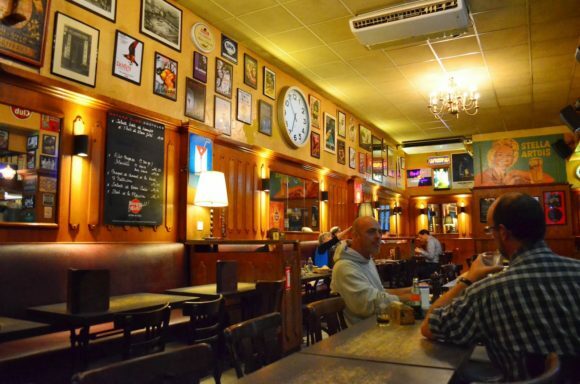 Visit Delirium Café, offering over 2500 different beers! The area of Saint-Jacques, full of artists and craftsmen and Bohemian atmosphere, characterized by a sussegguirsi of murals and small shops. Here you will find clubs with Latin American music or electronics, In addition to numerous alternative clubs. In this district is also located the Comics Museum in Brussels. One of the most elegant area of Brussels is the District of Sablon, an area filled with antiques by day, and strewn with cinema, Lounge bars and clubs in the evening. Located outside the, instead, the area of Ixelles is preferred by students and there are quiet pubs where drink or enjoy live music. The Ancienne Belgique is one of the best clubs in Brussels: the place can accommodate up to 2000 people and has two halls, one dedicated to concerts (mostly pop-rock and indie-rock), While the other as disco. Open Tuesday and Wednesday from 10.00 to 19.00, Thursday from 10.00 to 19.00 and 23.00 to 6.00, Friday from 10.00 to 19.00 and 23.00 to 7.00, Saturdays from 23.00 to 7.00. 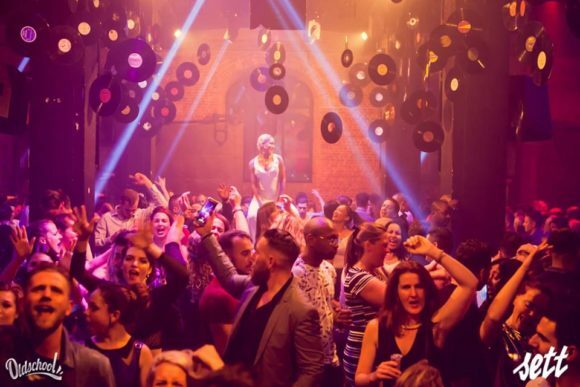 Located in the neighbourhood of Marolles, in the southwest corner of downtown Brussels, the Fuse is the city's most famous disco, known for its ability to attract the best djs of techno music and dance. This club is indeed a paradise for lovers of electronic music, definitely one of the best in Europe, able to attract every weekend many tourists and young locals. 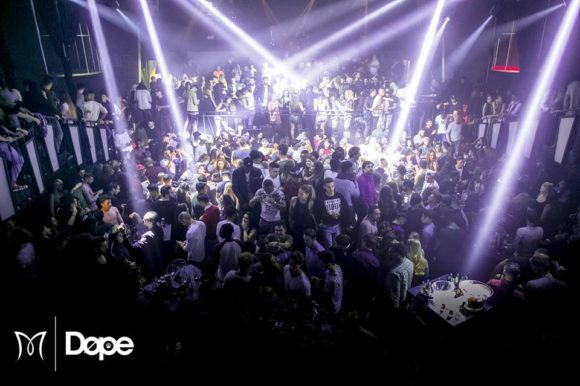 The club has three floors, the first floor is exclusively dedicated to techno music, While in the other two stories dominate the sonorities Jungle and hip-hop. Alternatively there are four bars and a chill out room to relax when the dance floor gets too crowded. The clothing is stylish and the admission fee may vary from event to event, but usually costs 5 euro if you arrive before midnight and doubles in 10 euros after midnight. Open Friday and Saturday from 23.30 to 5.00, Sunday from 22.30 to 4.00. The You Night Club is one of the most fashionable clubs of Brussels, attended mostly by young people between the ages of 17 and the 22 years. The club consists of two floors and offers mostly House music and commercial. If you like dancing, This is the place to go, but make sure you're accompanied by Lord (If you are man). The Cartagena, is one of the the best places to dance Latin American music in Brussels. The place is pretty sleek, fine dining with a lovely relaxed atmosphere. Sometimes the club also organises free dance lessons. Located in what was once the old market, Halles Saint Géry you simply put a huge two-story living room with an interior balcony, While the Middle stands an obelisk. Here are organized many fairs and festivals while, during the evening, the place becomes, with so many bars and a disco, with lots of music and djs that play. Open Tuesday through Saturday from 20.00 to 4.00. Madame Moustache is certainly one of the city's most eccentric and original club. Located downtown, This place is decorated in the style of 50 's and is characterized for its original theme nights, with music ranging from music to the Balkans to 80 's dance music, up to swing and hits degli anni ' 70. The Madame Moustache You surely can give you memorable evenings. Open Friday and Saturday from 19.00 to 6.00. Located in the District of Ixelles, lo Spirit is one of the most elegant and exclusive clubs of Brussels, classified even as one of the most beautiful in the world. The club is housed in an old Gothic church Deconsecrated Anglican, that gives a very special and exclusive atmosphere. The dance floor is surrounded by a innovative décor in Crystal and gold, an incredible setting with three different bars and a private area on the ground floor, the “Carré Dom Pérignon”, where you can enjoy your evening in a relaxing private lounge. Chandeliers made of Murano glass, colored glass beams, mirrors and sleek lines make the exceptional environment. Difficult to get into this Club: be sure to dress stylish and try your luck. Surely the bouncers at the entrance there will stop, but you have not told anything and try it again: your hard work will be rewarded once you enter. The club is frequented by the most beautiful girls in Brussels. Open Monday through Thursday from 10.00 to 24.00, Friday and Saturday from 10.00 to 4.00. Le Corbeau by day it's a Belgian pub offering traditional food at affordable prices, but at night it turns into a club that offers wild parties at the rhythm of pop music, ranging from the years ' 50 to ' 90. The place is always busy, they dance on long wooden tables and have fun! Clubs with live music of various kinds: from jazz to blues, up to flamenco and fado. Every Thursday night there are jazz performances of amateur singers. Open Tuesday to Sunday from 10.00 to 18.00, Thursday from 10.00 to 21.00. 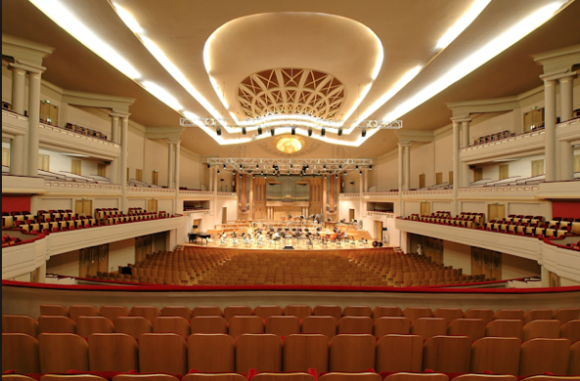 Housed in a magnificent art deco building (designed by the famous Victor Horta), the Bozar It is now an Art Center and for the show which offers a varied musical program, ranging from classical to jazz, In addition to theatrical and dance performances, exhibitions and film prioezioni. Located in the District of Ixelles, the Sounds Jazz Club It is the oldest jazz club in Brussels: recommended for fans of the genre. Open Friday and Saturday from 23.00 to 7.00. The Club Zodiak It opened its doors in October 2016 and offers a great entertainment experience, walking distance to Grand Place. Electronic music fans will enjoy a musical and Visual journey in this new place where culture of Clubbing and Underground are intimately entwined. A disco with a convivial atmosphere which focused in particular on the Belgian electronic scene of young emerging artists. Open Thursdays from 22.00 to 6.00, Friday and Saturday from 22.00 to 7.00, Sunday from 22.00 to 4.00. TheModern grocery not really a bar, not exactly a club and not a grocery store! An extraordinary place where there is an alliance between friendliness and musical dimension. For lovers of good music, This place has good things to eat, drink and listen for owls in Brussels! 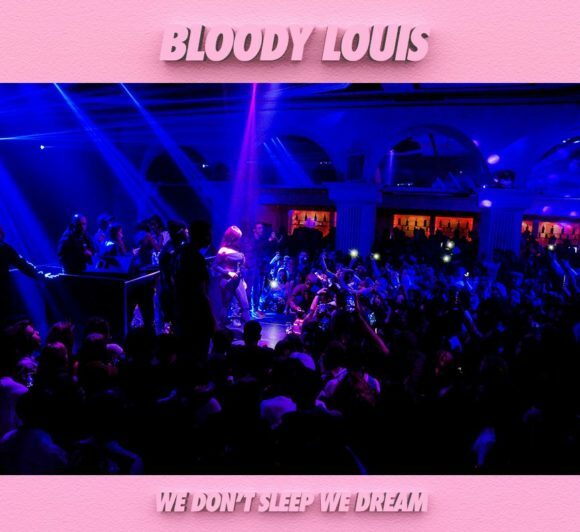 The Bloody Louis is a new nightclub in Brussels trying to stave off the competition and offer a different experience clubbers. Hopefully atypical, the atmosphere is extremely masculine (leather chesterfields, football table, flipper …) and unconventional. Worth a try! Disco full of crazy atmosphere and a friendly environment. Admission is free and every Friday, this club offers retro music, with a clientele of more mature. Saturday, instead, the atmosphere is full of fire and Madness with the sounds of the ' 80 and ' 90 and old classic French songs mixed at latest songs. The Sett club is an elegant nightclub, a unique space that offers quality evenings, for a select clientele. The music is selected by excellent local djs, but also from the many international guests. Several evenings and themed events. The Wood is hosted in the heart of the Park Bois de la Cambre, in one of the oldest buildings in the Park dating 1880. After a complete renovation of the place, Carl De Moncharline and Serge Vanderheyden have entrusted the interior design to several talented artists. The bar is located on a magnificent terrace in the heart of the forest. Music proposal was focused on electronic music and Deep House. Located right in the heart of Les Marolles, the Bazaar Club is a disco with predominantly House music and underground style. Despite the appearance, the place is frequented by gente tranquilla. Open Thursdays from 9.00 to 17.00, Friday and Saturday from 22.30 to 5.00. The Club Clandestin is a small disco bar located in the heart of the Sablon and frequented by young and vips. Often the club features great djs. Elegant attire is preferred. Open from Thursday to Saturday from 21.00 to 6.00. Les Jeux d’Hiver is one of the most fashionable clubs of Brussels. The place is frequented mostly by wealthy guys and many beautiful girls. The Mirano Continental is a nightclub located in the elegant district of Ixelles, and is populated by Europeans fashionable yuppies. The flashing lights and a revolving dance floor might make you smile, But let yourself go: the place is designed for a carefree enjoyment. Elegant dress to be sure you let go. The Zanzi Bar is a place suitable for drinking and dancing. The decoration is entirely in African style and there is also a heated terrace, a great place to chat or to dance with friends. Come here on a weekend if you like dancing, When the bar fills up and it's always pretty crowded. Open Thursdays from 18.00 to 24.00, Friday and Saturday from 22.30 to 6.00. Club with good music ranging from classic French songs (hits of the 70 's and 80 's) up to the latest commercial music. The age range varies between 20 and the 50 years, then the population is really mixed! Worth coming here if you don't know what to do on a Friday or a Saturday night! Even the bouncers can be quite annoying if you don't know, so bring your ID and a lot of good mood! About beer, the unrivaled Belgium. Scattered throughout the city there are many pubs that offer an infinite variety of beers on tap: beer lovers will not be disappointed. Open daily from 10.00 to 4.00. Elegant, on three floors and walls and ceilings covered with objects that revolve around the world of beer, the Delirium Café offers around 30 draft beers and over 2.000 types of bottled beers, thus earning the top spot among the bar of Brussels. This bar is a real magnet for beer lovers. Hearty snacks are also served here beer (cheese and sausage), every Thursday night there is live music, mainly blues and rock. The pub is always busy: come before 22.00 If you want to find a seat. By the way, Delirium is the name of a beer produced by Brewery Huyghe in Melle, near Ghent. Opened in 1886 by Francesco Cirio, Le Cirio is a fine brasserie and one of the most famous pubs in Brussels. The place looks like a traditional coffee, with sumptuous interiors and traditional style wooden furniture: Here the time seems to have stopped. Le Cirio is frequented mostly by businessmen, elegant old ladies and the inevitable tourists. The bar offers a wide selection of Belgian beers, Although the drink of the House is called “Half-in-Half”, a cocktail consisting of white wine and champagne. 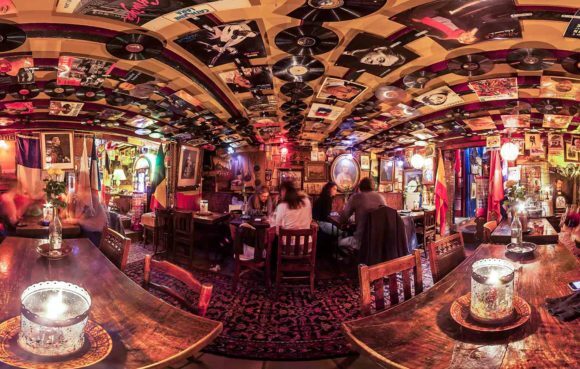 A La Mort Subite is one of the most famous pubs in Brussels, a must visit! 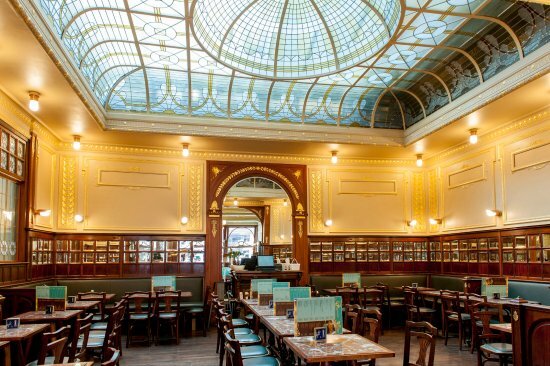 We are open from 1927 and it still has its original decoration, with wooden tables and chairs and coloured glass panels. A tavern called “Sudden death” It may seem alarming, but actually this name refers to a dice game played by customers of the previous bar. This is a great place to enjoy a full range of beers and Belgian beers, as well as wines, coffee and snacks. 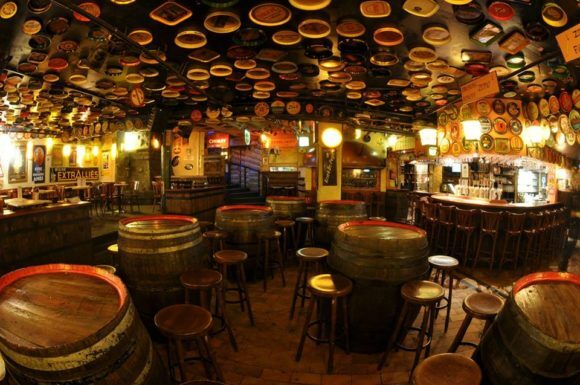 The bar also offers a variety of lambic beer (a spontaneously fermented beer which is produced only in a certain region of Belgium, In addition to the Cantillon brewery, in Brussels) and a particular peach sweet beer. The music selection is varied and ranges from jazz to blues, French songs and music-' 40. Open from Sunday to Wednesday 20.00 to 6.00, from Thursday to Saturday from 20.00 to 8.00. Located in the Centre of Brussels, the Cafè Bonnefooi (Bonnefoi in the local language means "by chance") is a bar fully focused on music, with live concerts every day, DJ set or other musical events. In addition to good music, We also recommend their great shots. Open Tuesday to Sunday from 12.00 to 2.00. The Daringman is a quiet pub frequented mainly by students and locals, great place to have a beer in the company. Open from Sunday to Thursday 9.00 to 1.00, Friday and Saturday from 9.00 to 3.00. If you like dance or have a drink in the Centre of Brussels, the ROI des Belges is one of the most popular coffee, great for breakfast in the morning or to have a drink in the afternoon or evening. The place is lively and the drinks are priced pretty cheap. The Greenwich is an elegant coffee with high sottiffi, famous for hosting daily chess matches between professional and non-professional. Open from Sunday to Thursday 16.00 to 2.00, Friday and Saturday from 16.00 to 4.00. The Goupil le Fol It's a crazy atmosphere Brussels bar. Its labyrinthine interior space, composed of many rooms, It is decorated with a bunch of objects, posters and old records to 45 RPM. The place is famous for its aromatic wines. Open daily from 9.30 to 1.00. Located in a historic building dating from 1697, Le Roy d’Espagne It is named after King Charles II of Spain, that was the sovereign of the Spanish Netherlands at that time. Here you will find some great Belgian beers, meals and reasonable prices, all to enjoy soaking in a fascinating historical context. Open daily from 16.00 to 5.00. Open from 1937 and located north of Grand Place, The’Archduke Art Deco style bar is dedicated to lovers of jazz music. Live jazz music sessions are held here, international jazz piano and jazz. In addition to the music, the bar is also appreciated for its excellent wines and cocktails mixed well. This unassuming friendly bars and cafes, He is known for his jazz concerts on Sundays, that can attract big names. Open Tuesday through Saturday from 11.00 to 24.00, Sunday from 11.00 to 19.00. La Fleur en Papier Doré is one of the few traditional pubs in Brussels. Here they met the surrealists, including René Magritte, and the memories of their time are combined with the multitude of curiosities that decorate the walls of a number of cosy rooms. To accompany the Belgian beer being offered some snacks. Open from Sunday to Thursday 11.00 to 1.00, Friday and Saturday from 11.00 to 2.00. The Moeder Lambic is the type of Shrine of beer that beer enthusiasts are hoping to find in Brussels: There are 42 beers on tap and no less than several hundred bottles of beer. Open daily from 8.00 to 1.00. 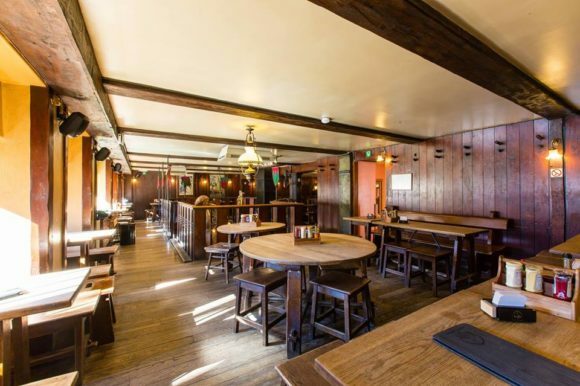 This trendy pub attracts a young crowd and offers a large variety of real ales to taste immersed in a relaxed. Open Monday through Thursday from 8.00 to 00.30, Friday from 8.00 to 1.30, Saturdays from 9.00 to 1.30, Sunday from 10.00 to 00.30. Located in the peaceful district of Ixelles, L’Ultime Atome is a bright and extremely popular bar with restaurant. Although it is located a little outside the, It is worth coming here for his great pub food and its impressive list of beers. Locals of all ages gather here to eat, its, see each other and chat the night. Open Monday to Friday from 11.00 to 23.00, Saturdays from 18.00 to 23.30. 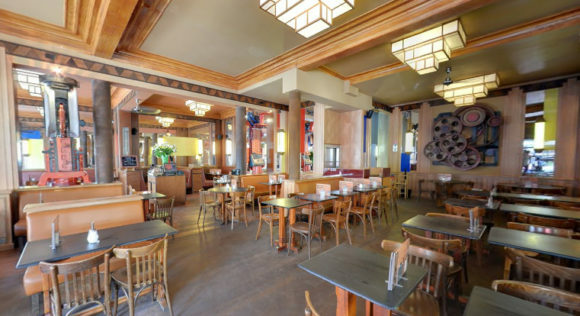 De Ultieme Hallucinatie is a bar and restaurant spaces in Art Nouveau style years ' 20. The crowd is young and female drinking Belgian beers and snacks with fresh salads, reasonably priced, omelettes and sandwiches. During the summer months there is also a sunny terrace. Open daily from 19.00 to 23.00. Restaurant located behind a small house built in a tree. Is great if you like meat, because they have a huge grill inside and a friendly atmosphere. Here you can eat, singing at the piano bar and then dance when dinner is over! Regarded as one of the most famous bars in Brussels, the Crystal Lounge is a bar and restaurant that wants to convey feelings of wellbeing to its guests. Open Monday to Saturday from 11.00 to 2.00, Sunday from 17.00 to 2.00. Curious bar decadent and old furnished but hce is a great place to sit and enjoy a good beer in complete relaxation after a night of debauchery. Open Tuesday through Friday from 11.30 to 14.30 and 18.00 to 24.00, Saturdays from 18.00 to 24.00. 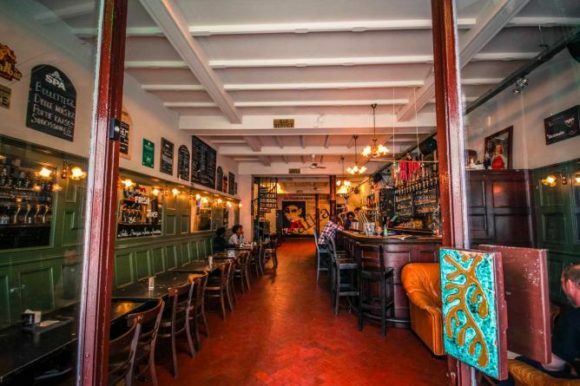 The Bier Circus is a stylish bar with a great beer selection, including some very rare and hard to find: try the Lam Gods, a beer brewed with figs, and Westvleteren, one of the rarest Trappist beers.